Dense urban core environments, such as Manhattan Island, will be fast data growth zones for IoT, smart buildings, fintech, digital marketing, media content, gaming, and more. To manage all this, network edge capabilities will creep further out from both existing network edge and enterprise core data centers. Enter the micro network-edge, containerized data center that can be placed in a wide range of operating environments. 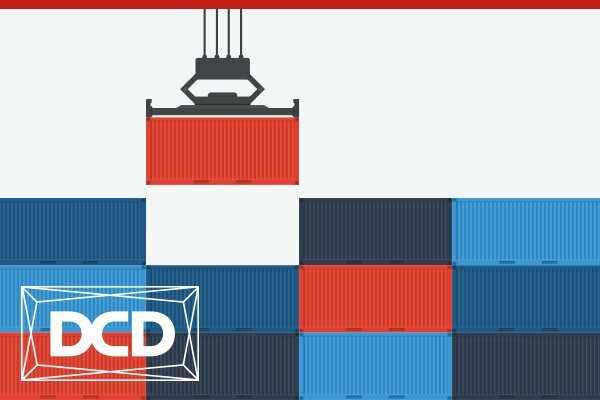 The new breed of containers have been engineered, ground up, to put high-density capacity ever-closer to data sources and users. Leading digital infrastructure strategists and edge-innovators will guide an audience of more than 1,500 senior decision makers from many of the largest data-center scale enterprises from across the USA through the challenges at DCD>Enterprise on March 14-15 at the landmark Marriott Marquis Times Square. HPE and Schneider have partnered on a micro data center for the edge, typified as a complete prefab modular unit that can be dropped-in and operational in a matter of days. This new class of hyperconverged, software-defined “lights-out” data center offer a “hybrid IT solution, integrating DCIM with IT infra management, according to HPE. “Digital infrastructure in urban markets is already seeing a blurring of what is a core data center and what is network edge as the balance of internet and cloud workload demand begins to tip in favor of those things that define what a digital enterprise actually is,” says Bruce Taylor, DCD>Enterprise conference chair. Increasingly, DevOps and TechOps must play the pivotal role in aligning business strategy with digital infrastructure enablement. Continuous build automation, continuous integration, continuous delivery and continuous deployment are now requirements in the digital transformation era. DCD>Enterprise presenter, Brian Mericle, Distinguished Engineer at the Choice Hotel chain, says, “Many companies have DevOps projects defined to deliver on one or more of these strategies, but the practical actions needed to ensure operational success as they relate to people, processes and technology may widely differ from one enterprise to the next.” The Choice Hotel chain includes such brands as Comfort, Quality and Choice. Designed specifically for IT decision-makers from organizations that run data center-scale infrastructure, attendance is limited to 1,500 delegates this year. Pre-registration is expected to be heavily over-subscribed, therefore we urge qualified end-user/operators to apply for complimentary passes as soon as they have cleared their calendars. Click here for Early bird complimentary offer ends December 31.